The Agricultural Research Services’ US Sheep Experiment Station in Eastern Idaho has decided to stop grazing sheep in its easternmost pastures to protect grizzly bears and has discontinued working on an Environmental Assessment in favor of a more intensive Environmental Impact Statement of its operations. 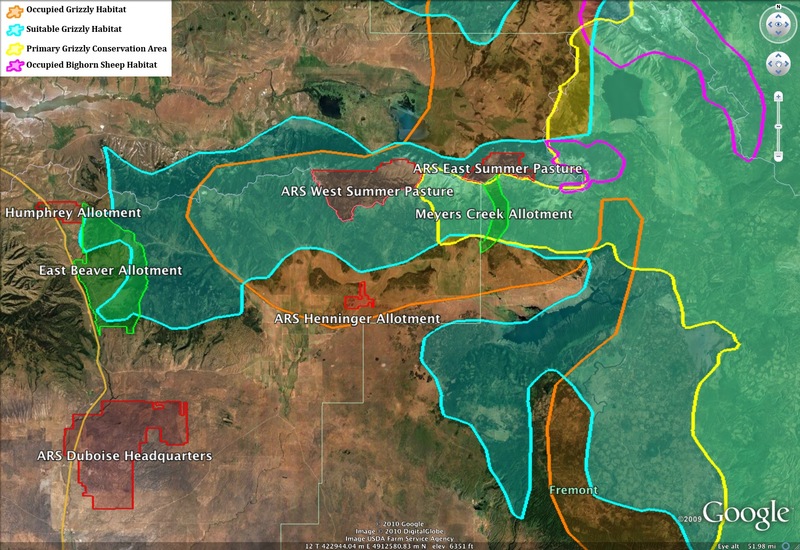 As you can see from the mapping there are conflicts with grizzly bears and bighorn sheep on other lands used by the Sheep Station. Two packs of wolves were also killed off because of the sheep just last year. The sheep station occupies one of the most important corridors along the Centennial Mountains for dispersal of grizzly bears, wolves and bighorn sheep. 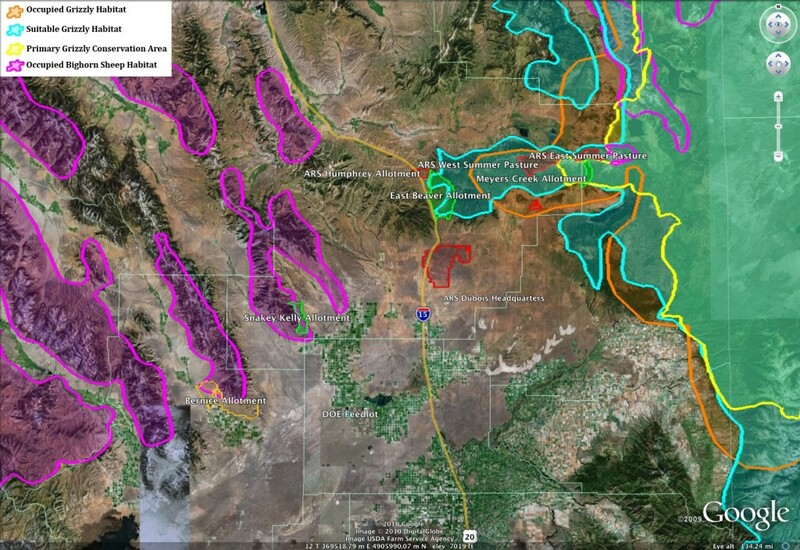 Western Watersheds Project and Center for Biological Diversity press release. I knew there was a good reason to donate to these two great wildlife advocates! Keep up the good work. we need to bring the sheep station down. ken and i took a court-ordered tour out there last year and the director got a little ansy about us wandering around the premises taking photographs. apparently, ARS lands aren’t “public” lands, they’re “federal” lands and a couple of enviros, there by court order, taking photos of the goings-ons out there is a threat. that sheep station grazing is a waste of tax-payer resource, a cesspool of disease and a threat to so many wildlife values. dissolve the ARS sheep-station abomination and re-apportion its lands to the public domain for use by wildlife.